Incorporating the outdoors into their home, an outdoor shower with a view is accessible through the master bath. With matching mahogany and dark granite, the master bathroom imitates the look of the kitchen. 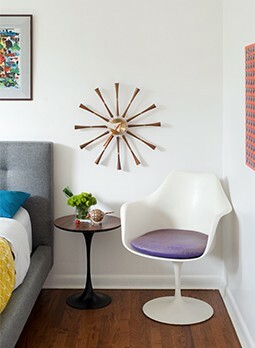 What more could you look for in a home besides an ocean view and stunning mid mod furniture collection? 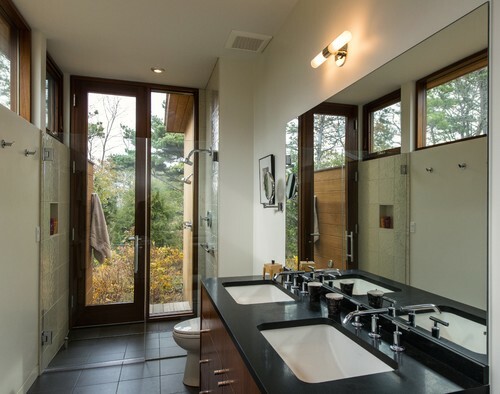 Continuing with an open layout, the master bath opens up to an outdoor shower.